Happy Monday, friends! I hope you all had a truly great weekend. I spent Saturday celebrating my dad's 60th birthday with a surprise party - he was thrilled! And yesterday I got together with some friends for a Christmas cookie exchange - there are more sweets in my house than I could ever eat! I'm excited to kick off the week with another great wish list feature! 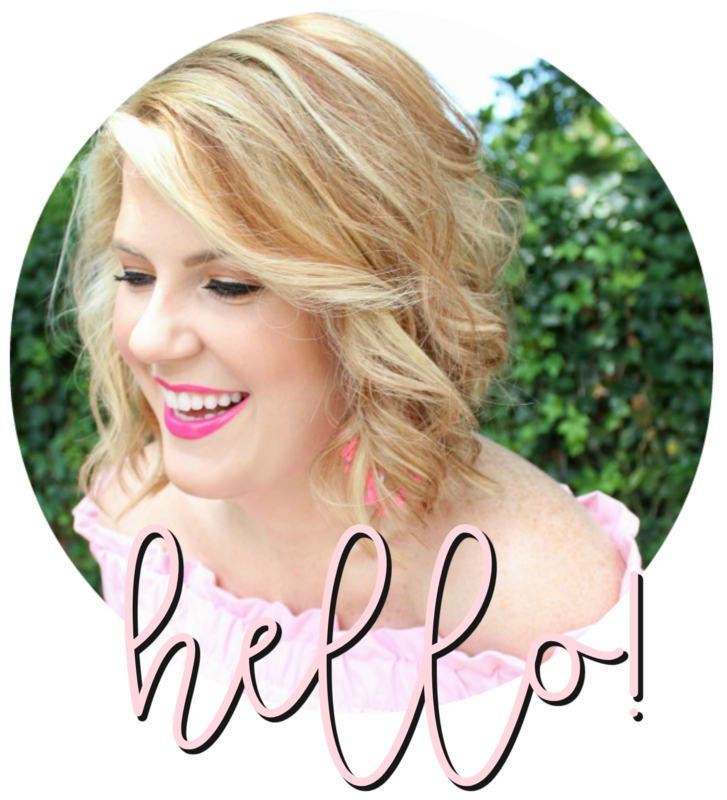 I was lucky enough to meet Whitney of Heart & Arrow Design at the SBS Conference over the summer. She has such a kind personality and did I mention is insanely creative and talented?! 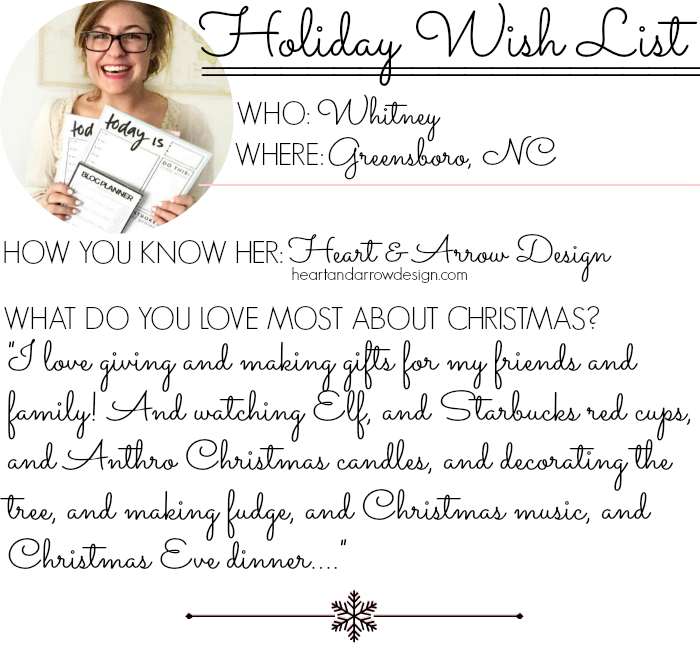 She can hook you up with a new blog design, help you get organized, or add some sass to your home decor. Check out her incredibly fun wish list below and follow her on social media via the links at the bottom! Eeek! Thank you so much for including me, Julie! Love this post (and that adorable snowflake graphic... because I'm weird like that haha)! !